A real gem of a property! 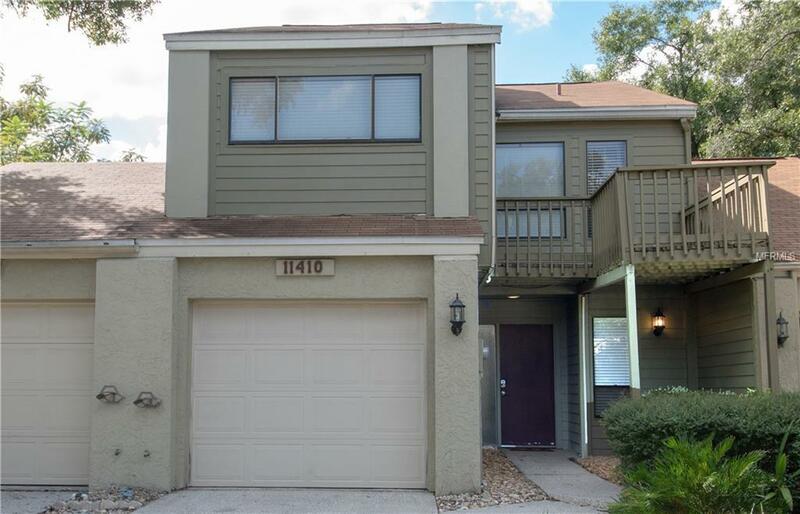 This Carrollwood townhome, located in the exclusive Carrollwood community of The Galleria has lots to offer. On the first floor, this low maintenance home has an airy and spacious feel with vaulted ceilings, tile floors, and a spacious updated kitchen with modern backsplash, granite countertops and stainless-steel appliances. The fireplace adds a cozy touch to the open living room with French doors that step out to the spacious patio area overlooking the private/fenced backyard. On the 2nd floor, the newly renovated staircase leads to an open space perfect for an office or reading area right outside the two private suite style bedrooms; each with their own full bathroom and closet space. New carbonized bamboo flooring was recently installed throughout the 2nd floor. The cedar siding, that most units have in the community, was recently replaced with upgraded siding that is longer lasting and better suited for Florida properties. One car garage adds to the list of features of this stylish townhome. The convenient location, close to restaurants and shopping is hard to beat! Make an appointment today to see this lovely move-in ready home.